The HP 14 and its case. 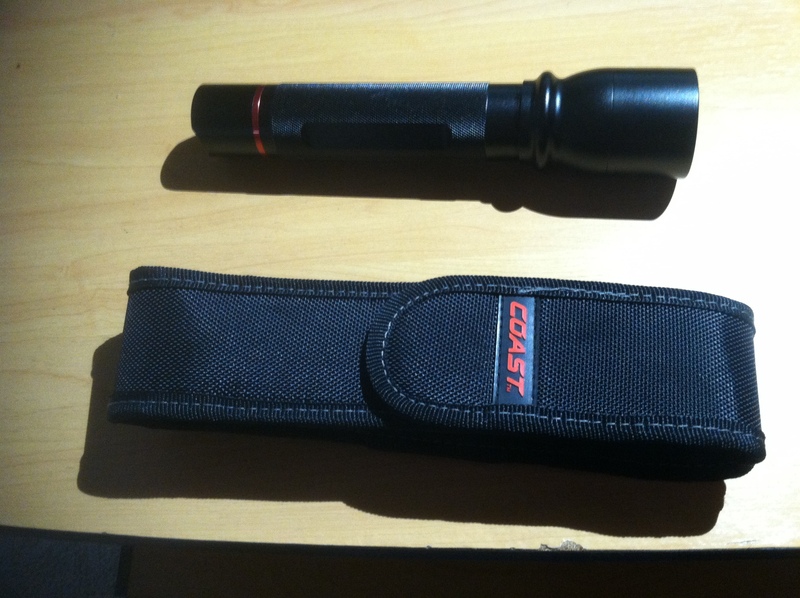 Early in January I was contacted by Coast Portland and given the opportunity to review their HP 14 LED flashlight. Their timing was perfect, as I was in the market for a new light since my old one had seen better days. This was my first opportunity to use an LED flashlight as all of the ones I have owned prior to this have been halogen. I have heard from a lot of people that these days, LED was the way to go, so I decided to give this one a try. At $65, the HP 14 is affordable and not overpriced. It advertises a run time on the high setting of just shy of 5 hours, with a considerably longer life of 20 hours on the low setting which when compared to LED flashlight reviews of similarly priced lights is excellent. In the month that I used the light, I had no issues with the quality of its performance. The battery life seems pretty true to me and the quality of the stream stayed consistant. The first thing that stood out to me about this light was its overall appearance. The HP 14 is a sharp looking light. It is light weight, comfortable in your hand, and easy to use and adjust. Not only is it powered by 4 AA Batteries, but they are included with the light. Switching from high to low is as easy as double clicking the power button on the back end of the light. The lower 56 lumen setting offers a much softer but still bright and usable option. The telescoping focus while quick to adjust but takes two hands to do. At its narrow setting, you get a nice tight, bright stream, with the wider one giving you a nice area and it softens the light enough that on the low power setting you can easily check a patient’s pupils. The light needs to be usable not only to illuminate a scene but for patient care as well when being used by a paramedic. The HP 14 does both of these. 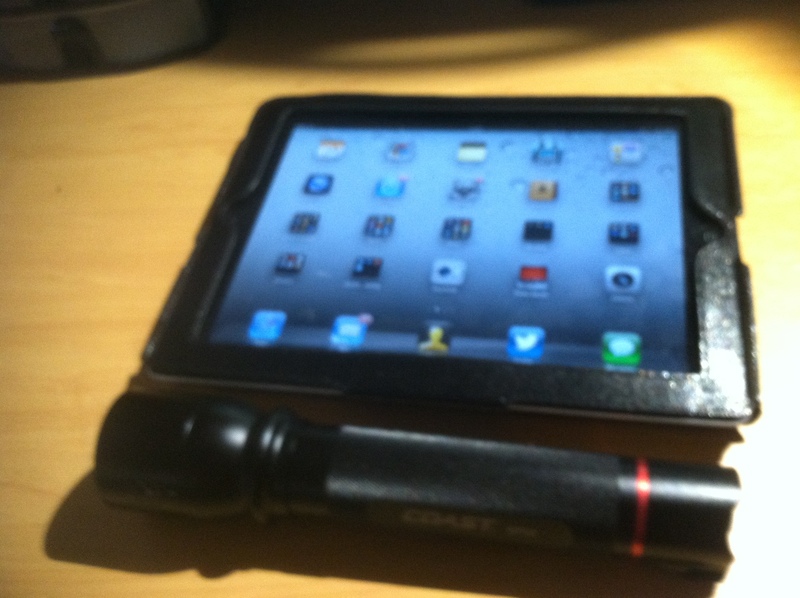 The downside to this flashlight is its size. While it is comfortable to carry and easy to use, at just shy of eight and a half inches, its big, and its case is even bigger. Personally, I have never been one to carry a lot of things on my belt so with a pager case, a glove case, and a radio finding a spot to store the flashlight was not easy for me. I found myself choosing to leave the case at home. Others might have a different experience, but I chose to keep the light in the door of my truck, and when I needed it I would just put it in a pocket. Would I recommend the HP 14? Absolutely, but if you are looking for something for your belt, you might want to check out one of Coast Portland’s other models. Otherwise, start looking for an aftermarket case that is a little more belt friendly for the EMS provider.